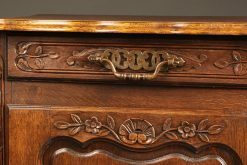 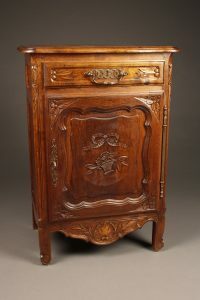 French Louis XV Rustique styled French confitierre (jam cabinet) in oak. 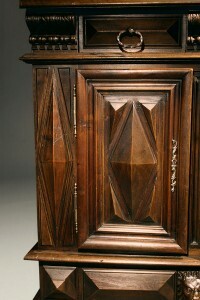 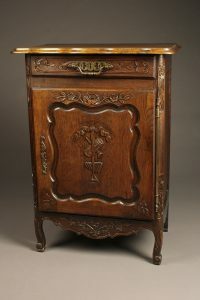 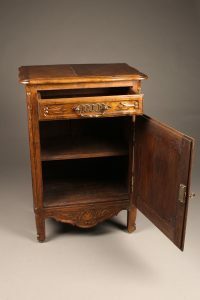 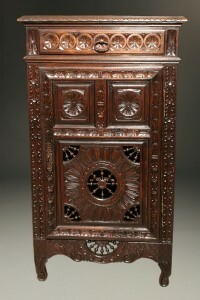 French confitierre or jam cabinet in oak. 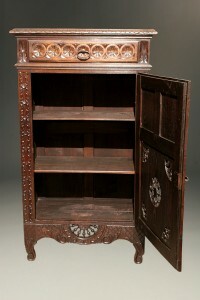 19th century French confitierre from Brittany. 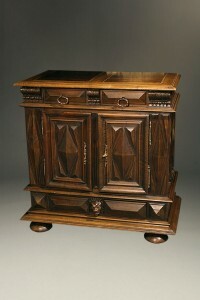 French petite walnut buffet with massive construction.